Published 2012/09/09 at 2076 × 1928 in Illumination Desk. 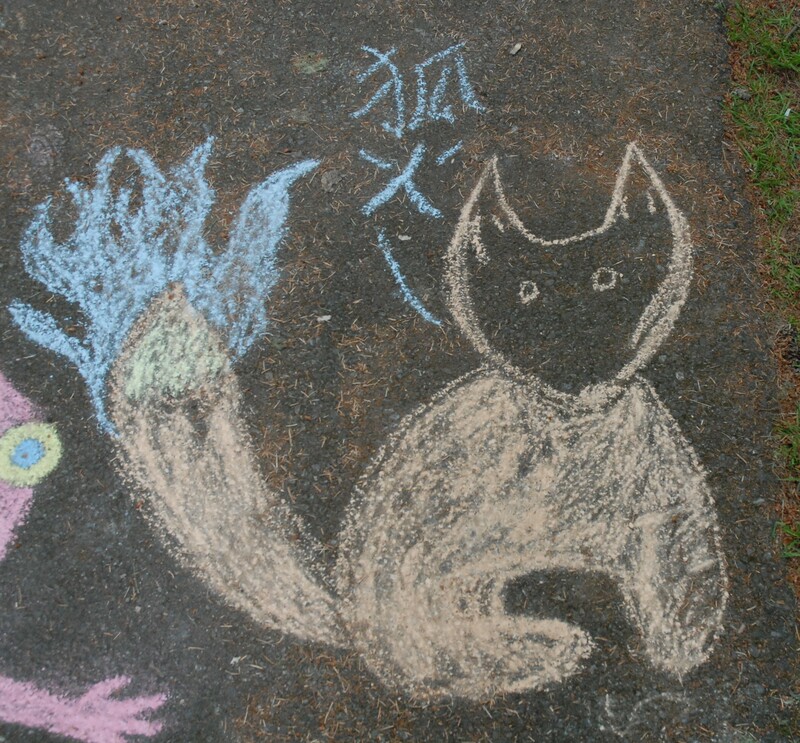 A chalk fox I drew at a furmeet sometime after Anthrocon 2011. It’s saying “kitsunebi,” which translates to “foxfire.” This style of fox shows up in a lot of my doodles and sermon notes.